Zydeco Brew Werks recently celebrated its grand opening in Ybor City, giving guest a New Orleans Bourbon Street inspired experience in Tampa’s very own National Landmark Historic District. 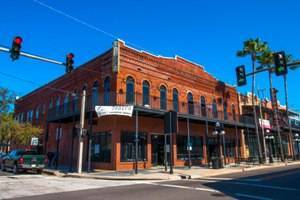 The 13,000 square foot, two-story historic building mixes Cajun cuisine with a line of custom beers, all brewed in-house, as well as providing guest with cocktail and wine options from a full liquor bar. Learn more about its founders from the Tampa Bay Times.